When choosing a small flashlight for everyday use you cannot go wrong with one that uses AA sized batteries. There are very versatile and and can be used in different situations. It is more popular compared to flashlights using CR123A batteries since AA batteries are more common. 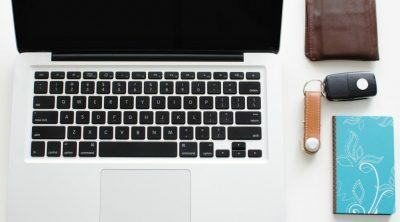 A lot of options are available when it comes to flashlights using AA batteries and picking the best AA flashlight should not be that difficult. 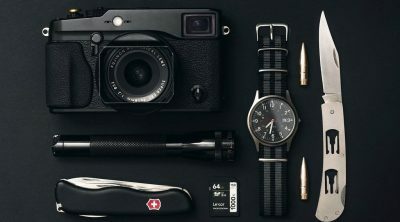 Our guide will be useful if you are looking for a better kit for everyday carry. Cree LED are used in most modern flashlights. Cree flashlights that use AA sized batteries are the preferred primary flashlight for EDC. Between small keychain sized flashlights that uses AAA batteries, and larger flashlights, it is the better choice. Flashlights using AA batteries fall into the general purpose category where it is the main go-to flashlight capable of better output and longer run-times. 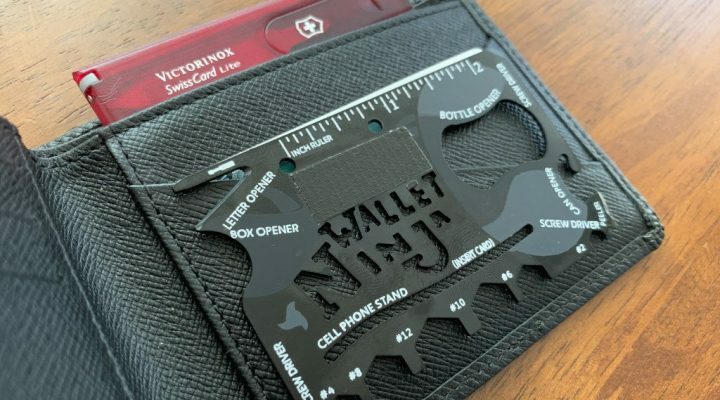 They are still pocket-able even though bigger in size. And just like AAA batteries, AA are readily available. You can use regular Alkaline battery, or use rechargeable NiMH and 14500 Lithium battery. High lumen flashlight use 14500 battery for best performance. What is the primary use of the flashlight? Knowing where and how the flashlight will be used will help in deciding the features that are a must have. Some flashlights are ideal for indoor use, and some are best for outdoors. Best outdoor AA flashlights are those that can output more lumens compared to those that are used indoors. Flashlights using AA batteries are still pocket friendly. They are bigger than AAA sized ones but still compact enough to be pocketed or fit in a bag. An AA LED flashlight with an output 50-200 lumens is bright enough for basic household or outdoor use. 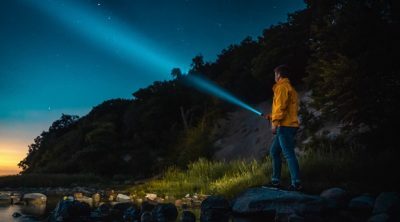 Anything higher is considered a high power flashlight and ideal if necessary for the work place or for recreational activities like camping, fishing, hiking and the like. The best AA flashlights are made from high-grade aluminium, or they can also be made from other materials like brass, copper, or titanium. Any of these materials are good for an AA LED flashlight for everyday use. A best choice for an all purpose flashlight is ThruNite Archer 1A V3. A more powerful option is Olight S1A Baton. 4 + strobe 14500: 1 lumen (72 hrs) low, 500 lumens (55 mins) high. 4 + strobe 14500: 5 lumens (50 hrs) low, 320 lumens (1 hr) high. NiMH: 5 lumens (60 hrs) low, 150 lumens (1 hr 45 mins) high. 5 14500: 0.5 lumens (15 days) low, 600 lumens (1 hr) high. Klarus Mi7 Ti 5 (including strobe and SOS) 14500: 5 lumens (67 hrs) low, 700 lumens (53 mins) high. 2 + strobe CR123A: 40 lumens (14 hrs) low, 350 lumens (1.5 hrs) high. AA: 40 lumens (7.5 hrs) low, 150 lumens (4.25 hrs) high. 4 + strobe/SOS/beacon 14500: 10 lumens (44 hrs) low, 800 lumens (45 mins) high. 2 modes: general and pro. 14500: 1 lumen (150 hrs) low, 900 lumens (1 hr) high. ThorFire TG06S AA LED flashlight is the upgraded version of the TG06 flashlight. It is ThorFire’s flagship 1xAA/14500 flashlight. Uses a single Cree XP-G2 LED housed in a polished reflector. It gives out a maximum of 500 lumens when using a 14500 battery. There are five modes, Moonlight-Low-Mid-High plus a hidden strobe function. 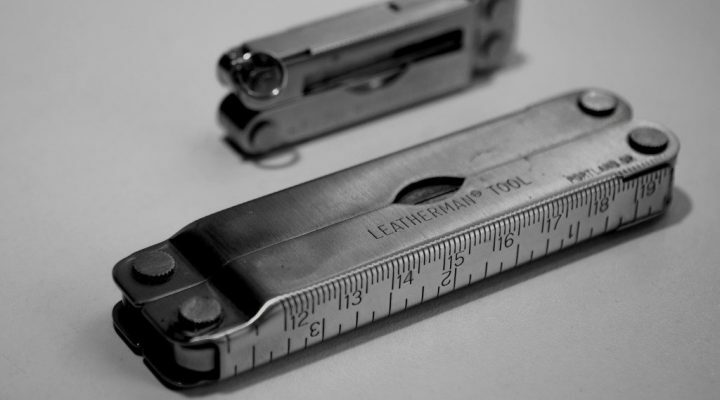 The body is made from a durable aircraft grade aluminum alloy. A hex cut ring at the base of the head prevents the flashlight from rolling off when placed on a flat surface. Textured knurling patterns are on the midsection and tail which helps with grip. 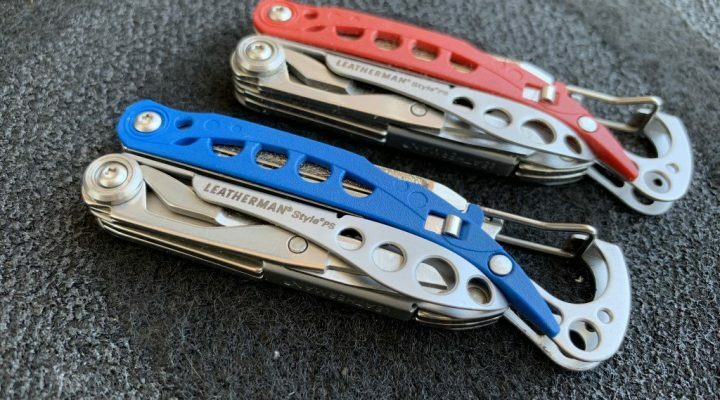 There is an included pocket clip which can be attached to the head or tail section so that the flashlight can be carried in different methods. The tail end of the flashlight has the switch and it is designed in a way that makes it possible to tail stand the flashlight. The switch is a standard reverse-click and it is also used to change the modes. The flashlight has no mode memory. It always starts on High, then goes to Medium, Low, Moonlight. Double clicking the tail switch activates the hidden strobe. ThorFire TG06S can use common AA batteries (Alkaline or NiMH) and can also use a Lithium-Ion 14500 battery. Using a 14500 battery is recommended to get the maximum brightness. Fenix E12 is a traditional single AAA compact flashlight. It has a Cree XP-E2 LED which outputs a maximum of 130 lumens. This is a simple flashlight with only three modes, low-medium-high. There are no hidden strobe feature. The body is made from type-III hard anodized aircraft grade aluminium for durability. The flashlight has o-ring seals that keeps the flashlight waterproof to IPX-8 standards. The switch is located on the tail end and slightly recessed to prevent accidental activation. There is no memory mode and the flashlight always cycles from L-M-H when turned on. Overall Fenix E12 is a small, lightweight, and affordable flashlight. Its simple operation makes it ideal as a general purpose flashlight. Fenix LD12 is another flaslight from Fenix with basic design and features. This is the new 2017 edition with a new side switch design and 14500 battery support. The flashlight uses a Cree XP-G2 R5 LED with a neutral white color rendering. The flashlight is capable of emitting max of 320 lumens when using a 14500 battery. When using regular AAA (Alkaline or NiMH), it only outputs 150 lumens on high. The flashlight has a dual switch. The tail switch activates the light while the side switch is for changing the modes. Fenix LD12 has four modes, low-medium-high-turbo, plus a hidden strobe feature. The flashlight remembers the last mode used and will use that mode when turning the light on. It has a non-reversible pocket clip attached to the tail. Fenix LD12 is a well made flashlight with a decent set of features which makes it a best AA flashlight for everyday carry. ThruNite Archer 1A V3 is an upgraded version of the Archer 1A V2 with a better user interface. The flashlight has a Cree XP-L emitter and can use either a AAA or a 14500 battery. Maximum brightess level is at 200 lumens. You can select between two models with a cool white or a neutral white LED. It has an aircraft grade hard anodized aluminum body with diamond pattern knurling in the middle and tail end of the flashlight. There are two switches, one on the side for changing modes, and the other on the tail to activate the light. There are five different modes, firefly-low-medium-high-strobe. Memory function is available which uses the last mode used when on (except strobe). A reversible pocket clip and strike bezel at the head is available. A good value flashlight with useful features makes this one of the best AA flashlight. The firefly mode on the flashlight is very useful for close up work when brightness is not ideal. Get one using the link below. Olight makes some of the best AA flashlight in the market and Olight S1A Baton is one of their popular pocket flashlight models. It is an upgraded version of the previous version S15 Baton. A Cree XM-L2 LED with a TIR optic lens enables it to deliver up to 600 lumens. It can use both AA size Alkaline/NiMH or 14500 batteries. The flashlight has five modes, moonlight-low-medium-high-turbo. Turbo mode is only available when using 14500 battery. This is a very compact flashlight at only 3.12 inches in length. Body is made from hard anodized AL6061-T6 aluminum alloy with a blue stainless steel ring on the switch and bezel. 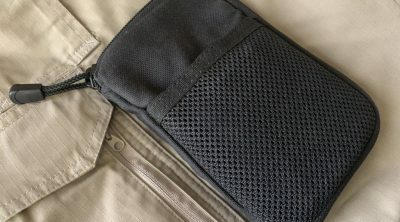 There is a non-reversible deep carry pocket clip which can be removed if desired. It has an electronic side switch used for turning the light on or changing modes. Memory mode function uses the last mode selected when the light was turned off. Olight S1A has two unique features not commonly found on flashlights. One of the unique feature of this flashlight is the magnetic tail cap. It allows the use of the flashlight without holding it with your hand. It also has a long (9 minutes) and short (3 minutes) timer when the flashlight needs to be automatically turned off. Klarus Mi7 Titanium features a Cree XP-L HI V3 LED with a max output of 700 lumens when using a 14500 battery. A regular AA cell can also be with a maximum output of 300 lumens. Excellent performance for a compact flashlight. The flashlight is made from TC4 Titanium alloy which is corrosion and scratch resistant. The stainless steel side switch controls flashlight operation and changing modes. There are three modes, moonlight-low-high, and also strobe and SOS. The flashlight has operational differences compared to others. It can directly go to high mode (additional click goes to low), moonlight mode, or strobe/SOS, depending on how the switch is pressed. It is also capable of telling the remaining battery capacity by clicking on the switch. Klarus Mi7 Ti is a small, compact flashlight with good performance. Certainly the premium best AA flashlight for EDC. Klarus Mi7 non-Ti model is also available. Streamlight ProTac 1L-1AA is the newest addition to the ProTac family. It is possible to use one CR123A or AAA battery without using any adapter to power the flashlight. There is a spring inside the body, that is compressed when using an AA battery. It uses C4 LED technology that produces 350 lumens max when using a CR123A battery. On an AA cell it emits 150 lumens max. Multi-function tail switch operates the flashlight and changes the mode. The AA LED flashlight has two modes, low-high, with additional strobe. Programmable using the TEN-TAP interface that provides a choice of three operating modes: high/strobe/low, high only, or low/high. It comes with a removable reversible tail cap. Streamlight ProTac 1L-AA is small, bright, programmable, and versatile battery options (CR123A/AAA Alkaline or Lithium) makes it a good everyday carry flashlight. Manker E11 uses a Cree XP-L LED (choice of cool white or neutral white). It can emit up to 800 lumens maximum when using a 14500 battery. It can use either an AA or an unprotected 14500 battery. This is one of the brightest rechargeable flashlight with a removable battery. This is another compact flashlight at 3.2 inches in length. Aircraft grade hard anodized aluminum makes the flashlight body anti-abrasive and durable. The flashlight has a side switch to operate the flashlight. There are four modes, moonlight-low-medium-high, plus additional strobe, SOS and beacon function. Included is a beefy reversible tail clip. Manker E11 is a compact and powerful 1xAA flashlight capable of putting out 800 lumens. This is one of the brightest AA flashlight in our list. 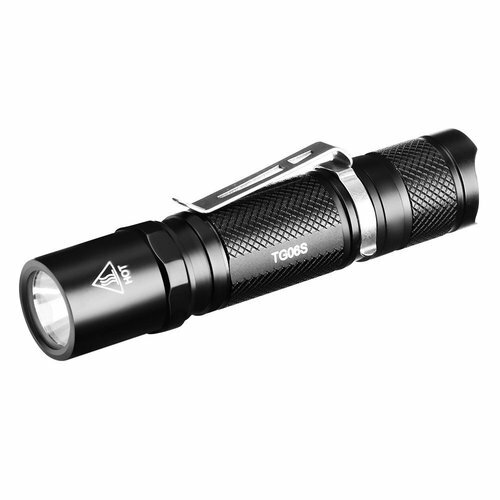 Manker T01 II is a compact and the best throw flashlight that uses an AA/14500 battery. The Cree XP-L HI LED can emit 900 lumens maximum output with a maximum beam distance of 282 meters/925 feet when using a 14500 battery. Cool white or neutral white are available tint options. 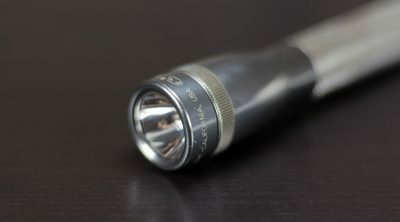 The flashlight is fairly small at 3.3 inches in length but with a large head diameter to accommodate the large reflector. The body is made from aerospace grade aluminum with HA III MIL-Standard hard anodized finish. The switch is located on the side for turning the flashlight on or changing modes. There are two operating modes, general and pro. Each mode has four brightness levels, low-medium-high-turbo, and additional strobe/SOS/beacon modes. General mode has predefined defaults whereas in the Pro mode, it is possible to select additional output levels. The flashlight comes with a reversible tail clip. If pocket sized best throw flashlight are your thing, Manker T01 II is the best AA flashlight to check out. It also has the highest lumen AA flashlight in our list. 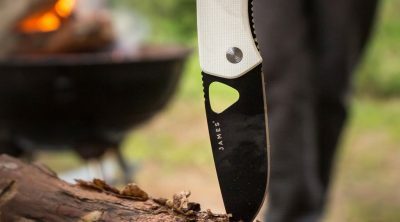 Great for outdoors, trekking, fishing, and camping. Popular, small and reliable flashlight that uses two AA batteries. Simple twist operation to turn the light on or adjust the beam from flood to spot. It has weather resistant seals which makes it good for everyday use. Hands-free operation is possible by converting the flashlight to candle mode. It can stand on a flat surface like a candle by unscrewing the head and using it as a stand. Mini Maglite PRO+ is an old classic and the best AA flashlight to always have in your toolbox. Carrying a larger and more powerful flashlight to act as a a second lighting tool is good practice. Flashlights using AA batteries are a normal choice to be paired with a smaller flashlight using AAA batteries. There are many flashlights to choose from, and the best AA flashlight should have the features that you need and must be suited to your activities.